King Saleh, 16 Jul 2010Hello Zeeshan, As far as the economical crisis in Dubai is concerned, we r really working har... moreFirst of all i had the opportunity to compare one of the vertu phones (signature) with my motorola aura. 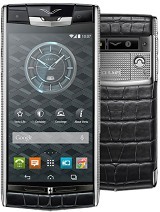 I think my motorola is better looking then the vertu. Second of all you are the first one that i've seen on gsmarena forums pretending to be royalty,that is very funny. What is the phone's operating system anyways? Was it similar to Nokia's? 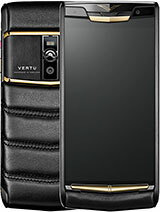 Just bought the phone and well its one of the best vertu's ever realesed. As far as the economical crisis in Dubai is concerned, we r really working hard to get all the business n tourism back in shape. Unfortunately we r in d middle of a debt-crisis rite now but i'm sure by this year's end things shud be much better. My whole family is busy arranging funds to repay the banks n i'm sure of Dubai's revival in the near future. The whole world has its eyes set on us n we will not disappoint. U hit the nail on the head... Milestone is an excellent phone with amazing n eye-catching features... Its one of the 4 phones dat i possess n i love it... Just hoping dat Vertu comes up wid a phone which can match the others in the present market... Its high time!! Vertu owners of the world unite! As a matter of fact you are wrong. Each phone is a collector item. Mine has a golden keypad with a platinum case. Vertu cells do not have a fixed price. It depends what the customer wants. Do a google and see some vertus with real diamonds encased at the corners of the screen. Price is anything. From a few thousands to tens of thousands and even more if you feel like it. Mine was bought as a 20 year wedding anniversary for my wife. I had it made for just over 8000Euro + tax. Is a master piece of perfection. I only take it for special occassions. I have a normal nokia cell for day to day. I am happy to have found this GSM site. Lots and lots of cellphone to chose from. The technology is developing quickly. I wonder where will it all end . . .